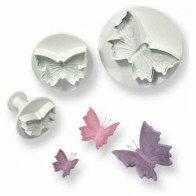 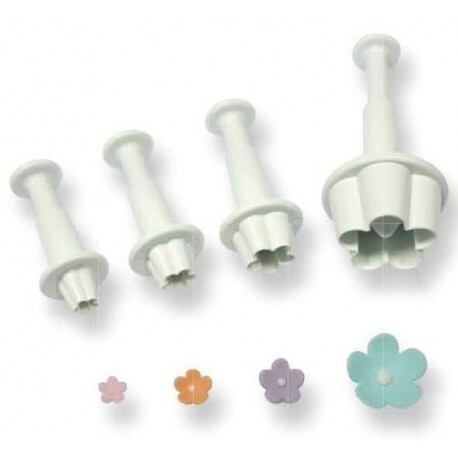 These cutters are ideal for use with a range of materials including sugarpaste, flowerpaste, marzipan etc. 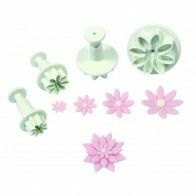 They are very easy to use, creating realistic, five petalled blossoms, just roll, cut, and eject! 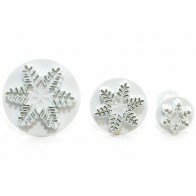 Available in three sizes or a full set. 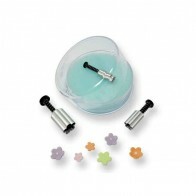 Made from plastic and aluminium with a spring loaded mechanism.